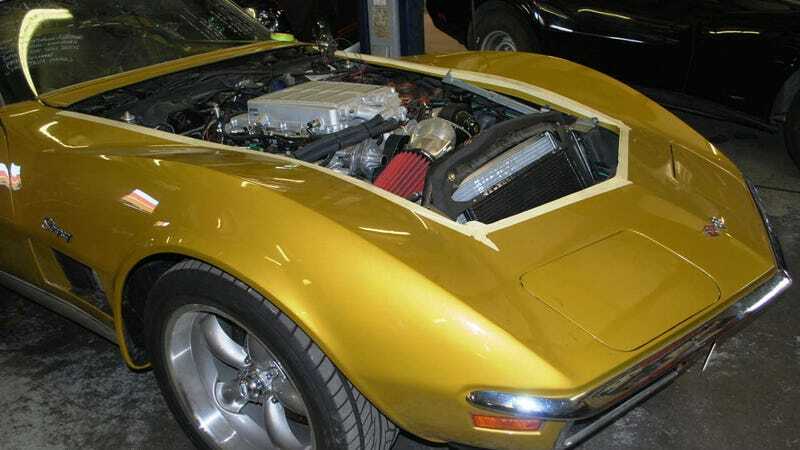 Houston's Fastlane tuning shop is working on this 1971 Corvette dubbed "Golden Rod." It's been fitted with a new, supercharged LS9 from a ZR1, and the suspension, brakes and other components will be upgraded similarly. We also hear it's dating a 22-year-old yoga instructor.